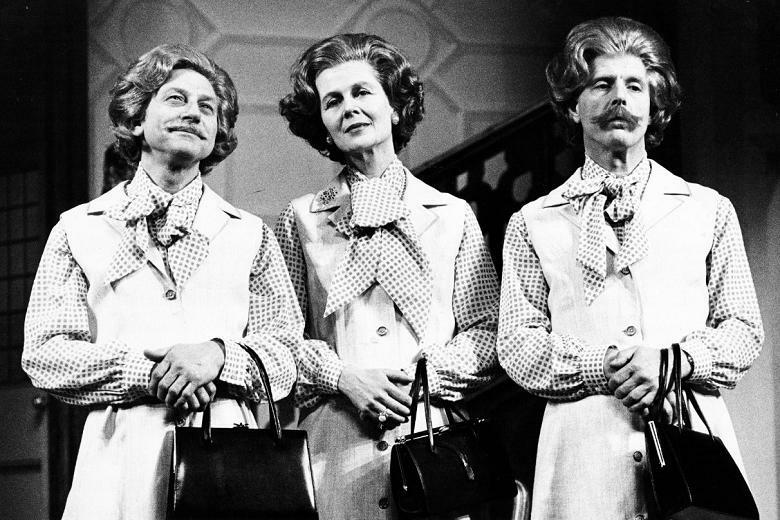 Mrs Thatcher famously presided over a huge rise in unemployment, but down the years she kept a large sorority of impersonators (and one male one) off the dole. 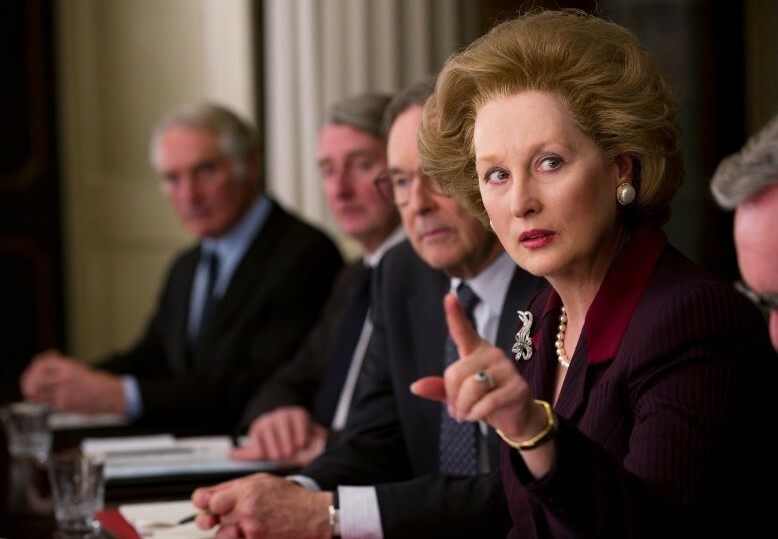 She was lucky with her mimics, who included some of the great actresses of the age, and never luckier than when Meryl Streep (pictured below) inhabited the role of Britain's first female Prime Minister. 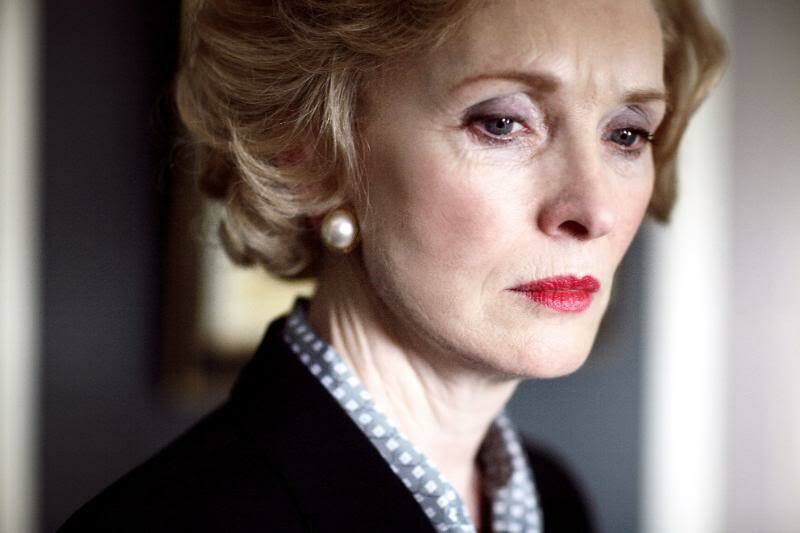 To her three election victories, Thatcher was able to add - if by proxy - an Academy Award for Best Actress. The first person to grab the handbag was Janet Brown on The Mike Yarwood Show, even before the Conservatives' return to office in 1979. 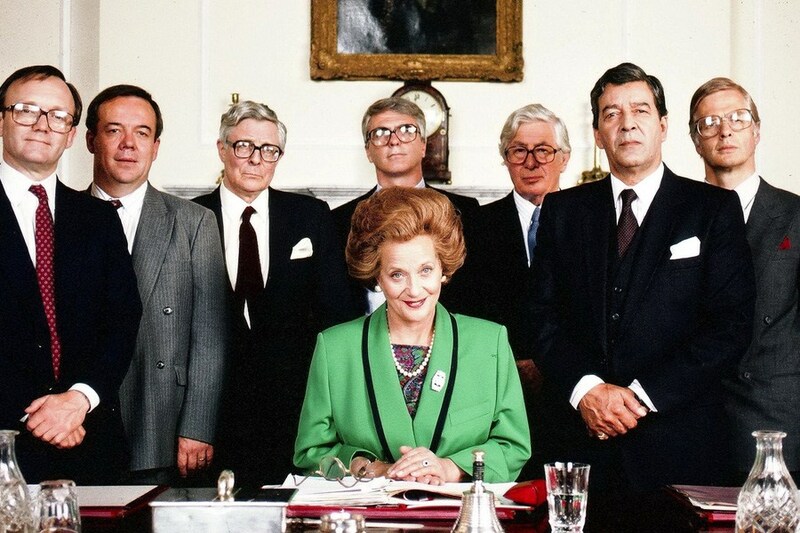 Early on in Thatcher's 11 ydars in office, Brown played her as a sort of Bond girl in For Your Eyes Only, Sean Connery's return to the franchise. Other performers soon moved in. Faith Brown toured her Mrs T on the cabaret circuit and Angela Thorne took her into the West End in John Wells’s hit Anyone for Denis? (which the Prime Minister famously went to see). Ribald satire found Steve Nallon voiced the cigar-chomping pinstriped puppet in Spitting Image as the only man in the cabinet. Dragged up, Nallon later played her in the Rik Mayall sitcom The New Statesman. As the Eighties expired and along with them Thatcher's years in office, the opportunities for actresses kept on coming. She remained a gift for satirists, from June Whitfield on The News Huddlines all the way through to The Hunt for Tony Blair, in which Jennifer Saunders played Thatcher as a grotesque Norma Desmond mother-of-Blair who lures her oedipal creation into her bed. She also inevitably became the subject of a stage musical - she was played by four different actresses in Thatcher - the Musical! 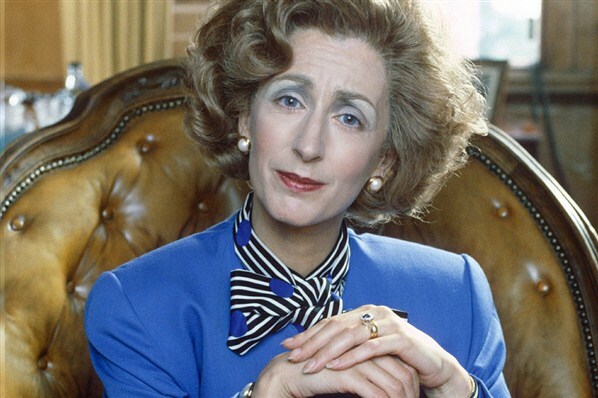 In the mean time Thatcher became a frequently spotted walk-on in other people's dramas. Louise Gold played her in as an obscure object of desire in The Alan Clark Diaries. In Jeffrey Archer - the Truth, another Thatcher lapdog was spoofed with Greta Scacchi foregrounding the PM's mythic sexuality. 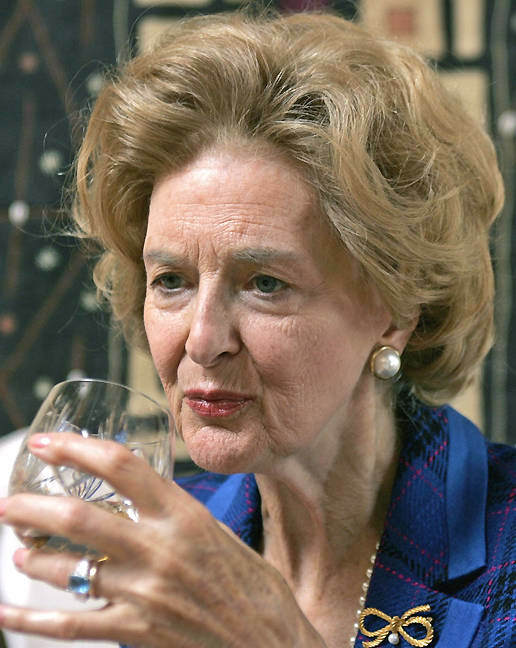 There were also walk-ons for Kika Markham in the adaptation of Alan Hollinghurst's The Line of Beauty and for Caroline Blakiston as a whisky-downing ex-PM in Coup!, the comic account of Mark Thatcher's involvement in Simon Mann's failed machinations of Equatorial Guinea, while Anna Massey was a brisk shoulder to cry on for Derek Jacobi's Chilean ex-dictator in Pinochet in Suburbia..
A few years ago I interviewed a number of performers who have donned the wig and the blue twin-set about the business of playing Thatcher. They all found different ways of taking on the challenge, partly because Thatcher was herself far more protean than was often supposed. As was dramatised in The Iron Lady, after all, at least vocally she was a dramatic creation. 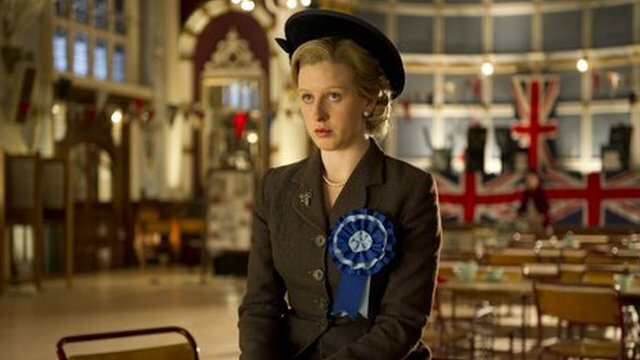 "She had very different styles," explained Sally Grace who did her for laughs on Radio 4's topical satire Weekending. "Very intense and quiet, or shouting at the dispatch box. I seized every opportunity to watch her to make sure I was up to speed." "It's a constructed voice," said Maureen Lipman, whose impersonation has been heard at many informal events as well as on stage and TV. "It's something she learned, so therefore anybody else can learn it." Her own route in was through the feet and legs. "Once you've got the walk you've got her: the grip on the bag, the slightly turned-in feet." Steve Nallon found that "her centre of gravity is outside herself". Because Steven Berkoff gave up on the idea of playing "Maggot Scratcher" himself in his 1986 play Sink The Belgrano! (Maggie Steed and then Louise Gold got the job), Nallon remains the sisterhood's only male infiltrator. He first mimicked her at school aged 15 in 1975. "Everybody else picked up on the interview voice," he recalls. "On Spitting Image I went for the House of Commons aggression." Sylvia Syms played Mrs T three times, most notably in the drama instantly documenting her downfall, Thatcher: The Final Days. 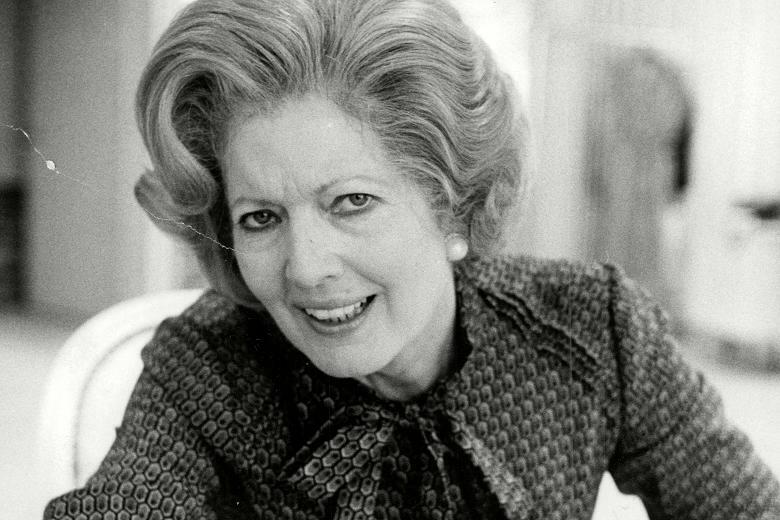 She wore a corset to get a sense of Thatcher's erectness, but she also researched her subject face-to-face. "I don't think she ever relaxed in a chair. I once went to a dinner where there was red wine spilled. I remember catching her eye and giving her a grin. It was like watching through glass. You got nothing at all." 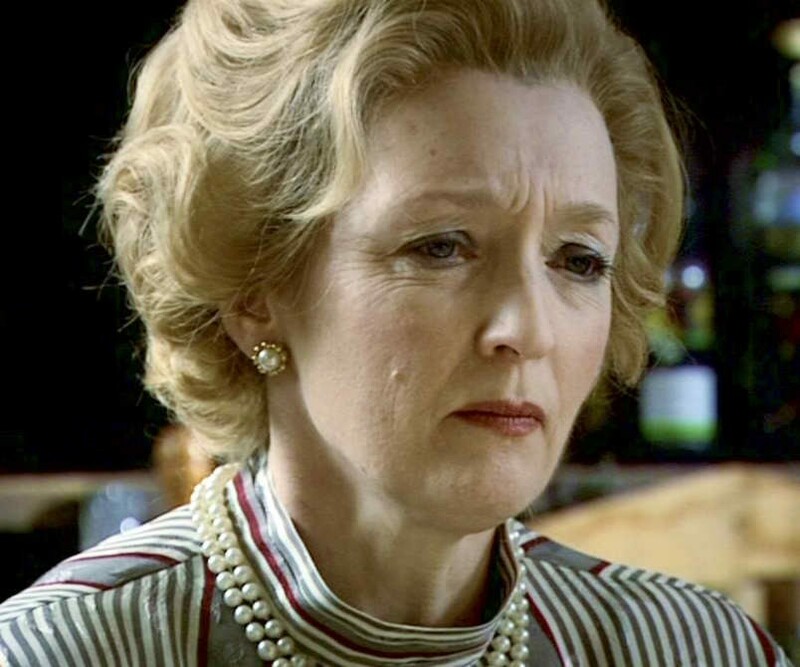 In Ian Curteis’s The Falklands Play Patricia Hodge preferred a "representation" to an impersonation (see also Lindsay Duncan in Margaret, in which Thatcher's political demise was dramatised once again). 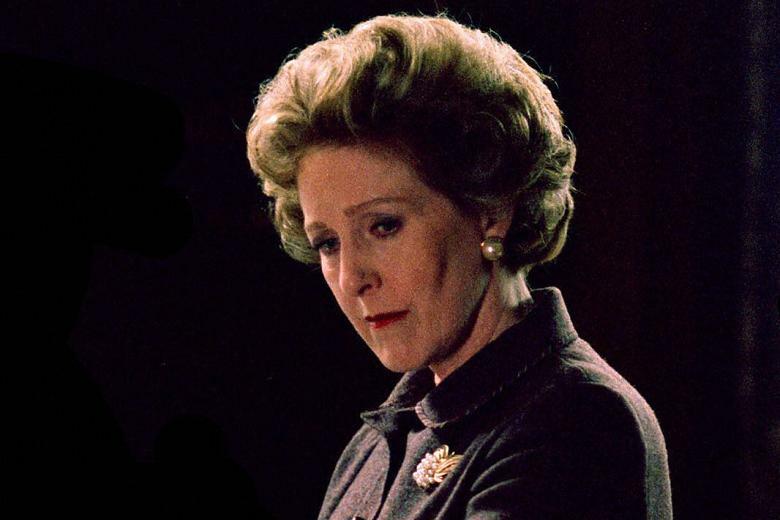 Unlike most Thatcher mimics, Hodge watched no newsreels and confined herself to reading The Downing Street Years. 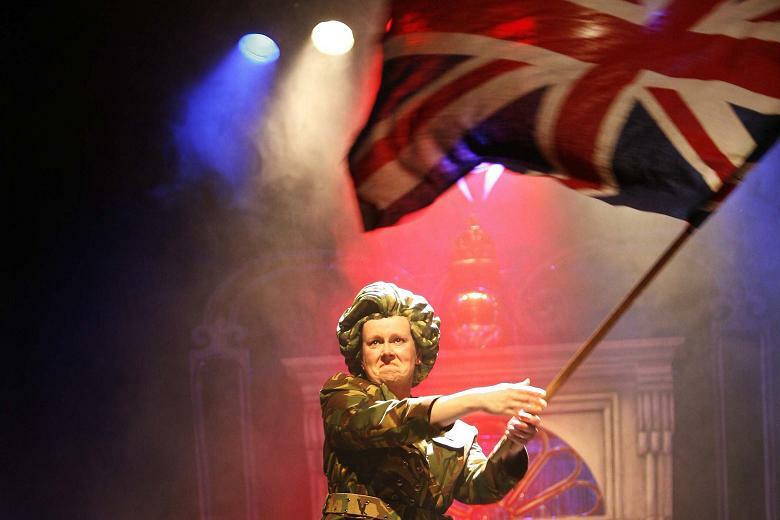 "Other performances have been satirical," said Hodge, "and so have taken the mickey. In The Falklands Play you had to know what kind of mind produced the choices that were made." The most recent incarnations of Mrs Thatcher have focused on her relationship with the sovereign. 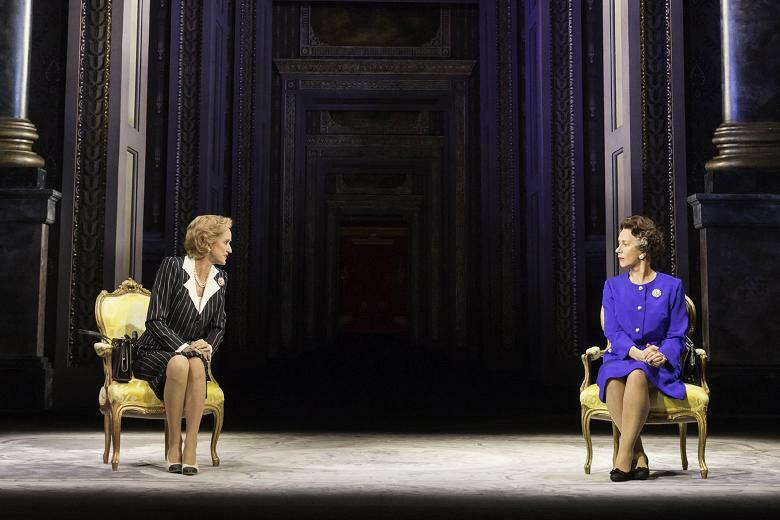 The Audience, currently running in the West End, finds Haydn Gwynne going head to head with Helen Mirren's head of state (the much smaller role in Peter Morgan's The Queen was taken by Lesley Manville). 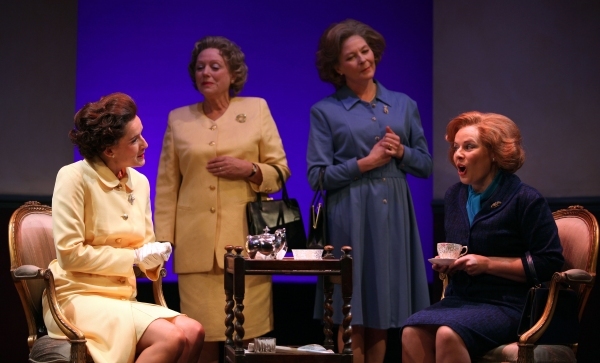 The encounters of Queen and PM were also explored at the Tricycle Theatre in Handbagged, Women, Power and Politics at the Tricycle Theatre, with Heather Craney and Stella Gonet as younger and older Thatchers. 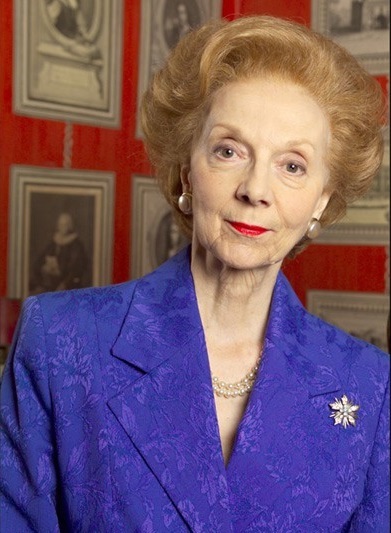 One thing most Thatcher impersonators have discovered over the years is the powerful impact of the uniform. Syms found that "cast members were no longer matey"; similarly, nobody would sit next to Lipman. "I found that too," says Nallon. "You've got no perception of what you look like in the outfit." For all her protestations that she was not "doing" Maggie, when Hodge had got the suit on she couldn't control the Pavlovian reaction of those around her. "At the Granada studios we sat in the canteen. As far as I was concerned I was me eating, but I noticed that every head was turning with a degree of shock. It was then that I was aware of her physical presence." Her political career may have come to an abrupt in 1990, but even as Mrs/Baroness Thatcher breathes her last, you can count on one certainty: this is not the end for thespian Thatcherism.